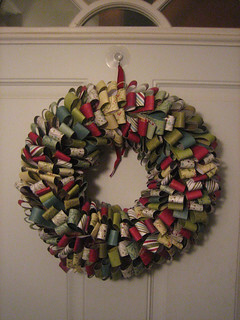 I made this wreath, which I photographed on my front door back from Christmas. The idea come from Creating Keepsakes magazine. Loved it... have stored it away for next year! Hopefully it keeps!